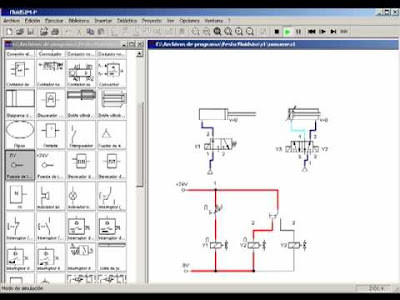 FluidSIM 5 is a comprehensive software for the creation, simulation, teaching and study of electro, the electrohydraulic and digital circuits. You will be able to create circuits easily by selecting and dragging your items. You only have to place the items in the circuit as desired and build it intuitively. It's simple and effective.